We’re big fans of spending time outdoors when the weather is warm, but there are some days when it’s simply too hot, too buggy, or too stormy to venture outside. 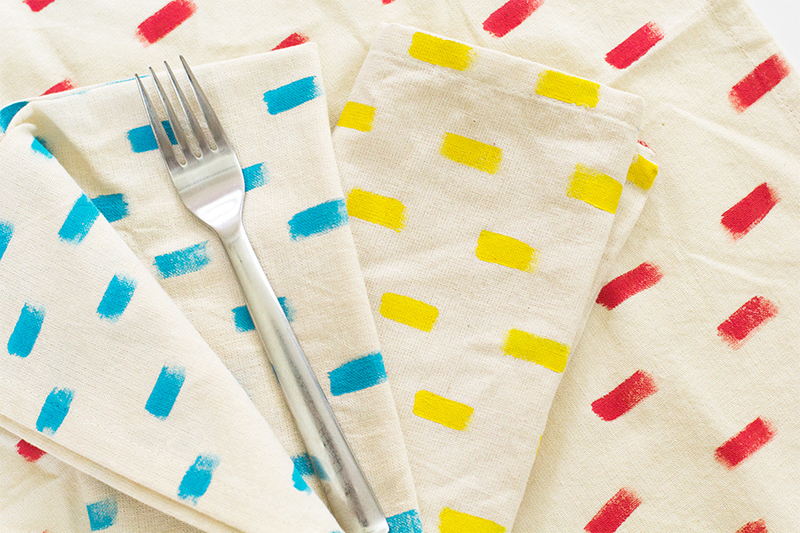 On those days, we turn to Pinterest for DIY inspiration. There’s always a craft project waiting around the corner, and this week’s Seen on Pinterest tracks of a few of our favorite do-it-yourself and popular home goods hacks. Most of these crafts are suitable for teenagers and adults, or older children with parental supervision. 1) A Beautiful Mess has awesome step-by-step tutorials on fancy friendship bracelets, a handmade bauble necklace and a DIY tassel dress you’ll want to wear, like, everywhere. 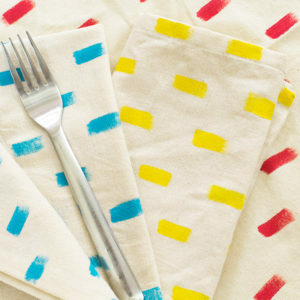 2) Sarah Hearts gives her own take on Anthropologie’s pretty colored cloth napkins for a fraction of the retail price. 3) Dehydrated orange flowers make a pretty decoration and a potpourri that’s nothing like the kind your grandma used to use. 4) Do you like to sew? Start with this pretty little pincushion ring, so your needles will always have a chic and accessible resting place. 5) Finally, a use for all those old Legos. We love these simple gold Lego magnets from She’s called Claire. 6) A simple video tutorial shows you how to make your own nautical rope balls. The perfect summer centerpiece. 7) Wouldn’t Design Mom’s etched wooden spoons make a perfect hostess or bridal shower gift? 8) Better Homes & Gardens shows us how a porcelain paint pen can make even thrifted china look elegant.